Collections and drop-offs are from and to Avignon TGV station, Avignon Centre rail station and Avignon airport. Anyone who is in good physical condition will be happy on this tour. Mostly flat terrain a few rolling hills. Cyclists should be comfortable with riding 3 to 5 hours a day on a bike. Provence, deriving is name from the Roman Provincia Gallia, is the region between the Côte d’Azur and the Rhone delta, stretching inland to the foothills of the Alps in the East and to the plateau of the Ardèche in the West. It has been said that Provence is more a state of mind than a distinct geographical area — the olive trees, fields of lavender and sunflowers, and the sunshine give a mediterranean feeling. The landscape is wonderfully varied, from the rugged hinterland with terraced vineyards, to the mini-mountain range of the Alpilles near Arles, to the flat marshes of the Camargue where the Rhone flows to the sea. And everywhere there is the evidence of the area’s Roman past, with some of the best preserved examples of Roman building anywhere. The unique quality of the light in Provence has attracted artists for the last two centuries, notably Van Gogh and Gauguin who lived in Arles and Cézanne who immortalised the area with his many studies of Mont Ste-Victoire. The cuisine of the region is as distinctive as the light, with emphasis on fresh fruit and vegetables, olive oil, seafood and the herbs de provence — rosemary, thyme, lavender — which grow wild on the hillsides. 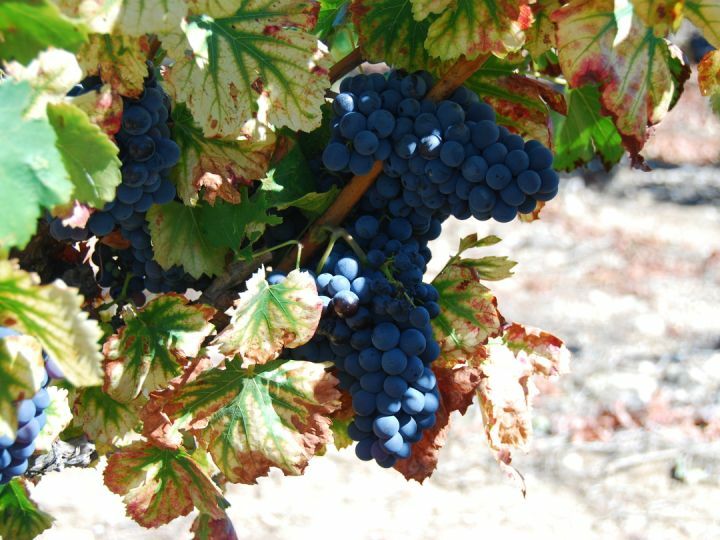 Wines there are too, for example roses from Bandol and Mont Ventoux, and reds from Nimes in the west, but above all, grands crus like Châteauneuf-du-Pape and Gigondas in the Rhone Valley above Avignon. The Roman Heritage Tour follows in the traces of the civilisation that gave the region its name. You will discover hidden treasures in Arles, Orange, Uzès, at the Pont du Gard and in Avignon, and taste liquid treasure in the vineyards of Châteauneuf-du-Pape. The landscapes shift from the green fruit-growing pastures of the Rhone valley to the dry garrigue of the inland hills to the pan-flat expanses of rice paddies and pastures that make up the Camargue National Park. We can pick up from either of the Avignon train stations (the TGV or the centre ville), any of the hotels in Avignon, or from other nearby locations (eg Nîmes airport) by arrangement. We arrive at our hotel near the market town of Isle-sur-la-Sorgue, where bikes are fitted and adjusted to your individual requirements. Spend the afternoon relaxing by the pool, or take a short trip into the village, which is famous for its antiques and bric-a-brac market and stores. 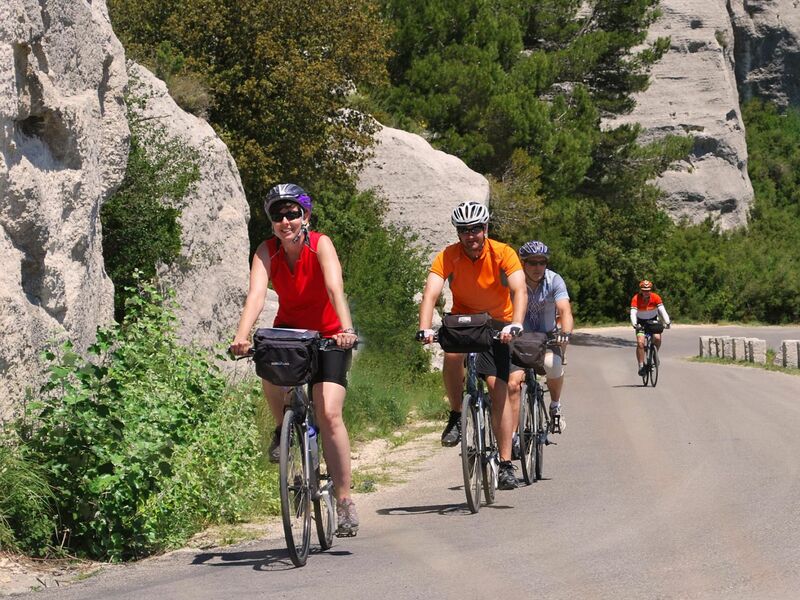 Early arrivals may wish to ride to the Fontaine de Vaucluse to see the famous resurgent spring of the river Sorgue. In the evening, after a briefing on the week’s ride, we will sit down to the first of many gourmet meals, washed down with one of the excellent wines from the slopes of Mont Ventoux, whose imposing profile dominates the region. An easy start to our week’s touring as we cruise along tiny lanes in the shadow of Mont Ventoux towards Orange. 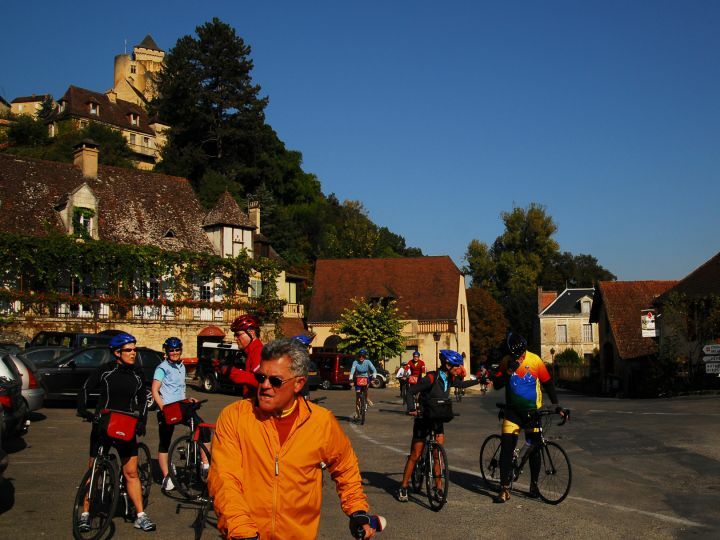 A stop for coffee in the village of Bedarrides alongside the River Sorgues, then on to the highlight of the trip for wine-lovers - a tasting at a vineyard of the celebrated Châteauneuf-du-Pâpe. After picnicking amongst the vines, it's a short hop to Orange for our overnight stop. Here we will see some superb examples of triumphal Roman architecture, including the Theatre Antique, built around 10AD. The theatre, which is still used for concerts, is wonderfully preserved and seats over 10,000. A fascinating audio-visual tour is included in the trip. Our hotel is in the heart of the pedestrianised centre of the town, so there is plenty of opportunity for exploring before dinner - or you can take a dip in the rooftop swimming pool! Today we set out across the flatlands of the Rhône River, which we cross at Coustellet. We are now entering the vineyards of the Côtes du Rhône Villages, where every hamlet has its own take on how wine should be made. Our route brings us to the bustling town of Bagnols-sur-Cèze, where the town hall houses early Picassos, and works by Monet , Renoir and Gauguin in its low-key art gallery. Back on the bikes, we trace our way through a landscape of vineyards and cherry trees, then after climbing a low ridge (with a fantastic picnic spot! ), descend to St-Quentin-la-Poterie, which as the name suggests is a historic centre for ceramics, with artisan workshops selling their beautiful work direct to the public. 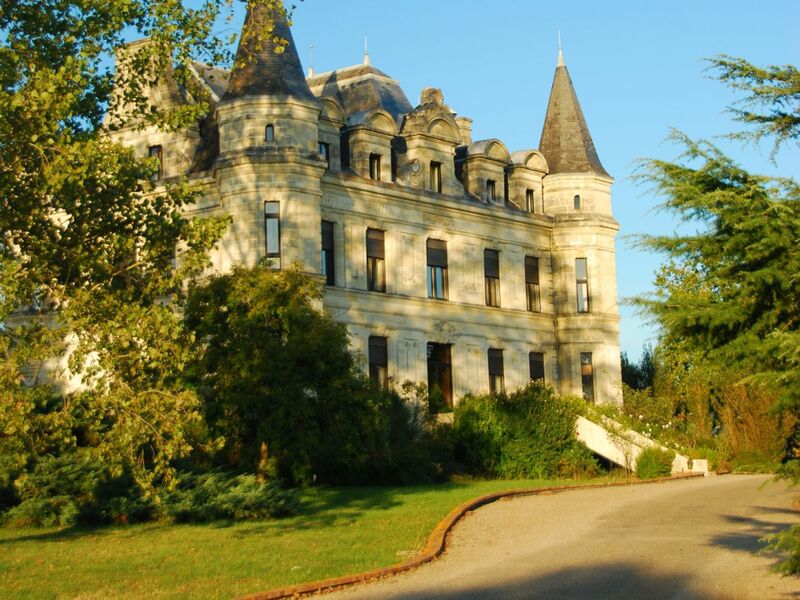 Our final stretch of the day takes us west of the magnificent medieval city of Uzès, to the village of Arpaillargues and the outstanding Chateau d’Arpaillargues, now a beautiful hotel where we stay for two nights. We should arrive in time to relax in the garden or swim in the large pool. Boasting a beautiful cathedral with its "Tour Fenestrelle" or windowed tower, and the Chateau of the Duchy of Uzès, the town of Uzès has a wealth of medieval sites to visit, as well as plenty of boutiques to satisfy any shopping urges! We cycle up the short hill into town first thing in order to make the most of the produce market (a great source for the makings of a picnic lunch! ), before rolling downhill out of town to the Pont du Gard, an aqueduct built by the Romans as part of a system to carry water from Uzès to Nîmes. It is an awe-inspiring feat of engineering, and its harmony with its setting over the River Gard is remarkable. Rather than cycling the whole way to the bridge, we complete the final part of the journey by canoe, taking in the splendour of the Gard gorges - and the Pont itself - from the water. We have lunch within sight of the bridge, before making our along back roads to Uzès through the garrigue, the rugged, beautiful country of the départment of Gard, taking in the scent of wild thyme and basil, and maybe spotting a wild boar in the undergrowth or a red kite wheeling overhead. Heading south from Arpaillargues and skirting the city of Nimes, there is more dramatic, rugged scenery before we sweep out into the plains which reach to the Camargue and the Mediterranean. 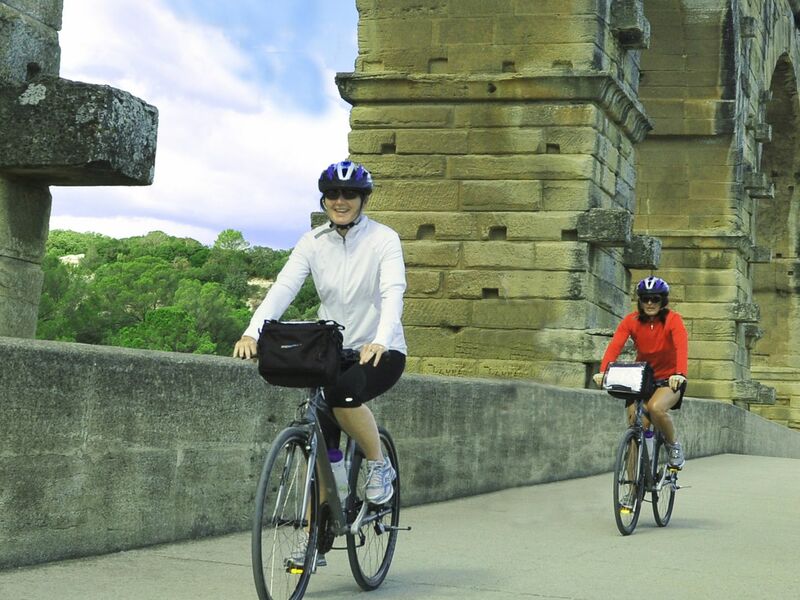 On the way we cross the Pont du Gard, this time on two wheels. From here it is easy cycling through a series of villages, each with a church showing the wrought ironwork belfries so characteristic of the area. 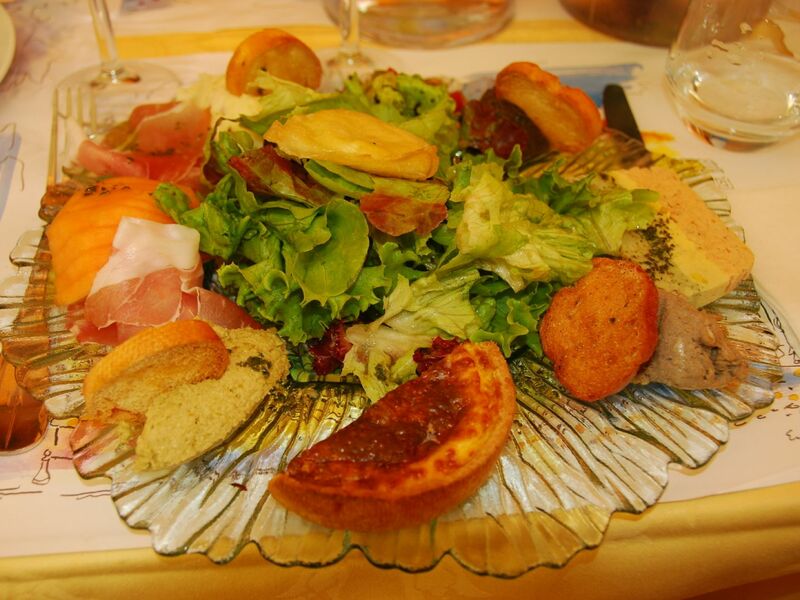 A picnic lunch is followed by a wine tasting at the Chateau Morgues du Grès, a prestigious winery of the Costières de Nîmes appellation. After lunch, we ride through the northern fringes of the Camargue, through paddies growing the red rice of the region, and fields of the black bulls which are bred for the bullrings of Arles and Nîmes. We then cross the Rhône to our hotel in the heart of ancient Arles. We arrive early in the afternoon, so there should be plenty of time before dinner to have a look around the immaculately-preserved Roman Amphitheatre - or next door's equally-impressive Roman Theatre, or to take a short walk to the Alyscamps Roman cemetery or the 15th century St-Trophîme Cathedral, with its shaded cloister. Elsewhere in Arles is the Van Gogh museum – you are guaranteed not to run short of things to see in Arles!. Our last day of riding takes us east towards the Alpilles massif. Although there are no high peaks, the jagged ridge gives the impression of being higher than it is. Riding out of Arles along tiny back roads - where meeting a car is an event in itself - we tackle a short stiff climb to the hilltop village of Les Baux. The bottom-gear effort is richly rewarded by the sublime views and the town itself, which is dramatically perched on a rocky outcrop. From Les Baux, we go over the massif known as the Val d’Enfer (Valley of Hell, although it honestly isn’t that tough a ride! ), stopping at the stunning Carrière de Lumière, a sound and light show in a converted quarry which has to be seen to be believed. Then it is on via a gloriously twisty descent to the pretty little town of St-Rémy-de-Provence for lunch. St Rémy, the birthplace of Nostradamus, is also celebrated as the subject for many of Van Gogh's paintings and drawings. After lunch, we can stroll round the Roman arch and monuments known as les Antiques, or visit the hospital of St-Paul-de-la-Mauseole, the sanitorium where Van Gogh committed himself after his argument with his best friend Paul Gauguin. 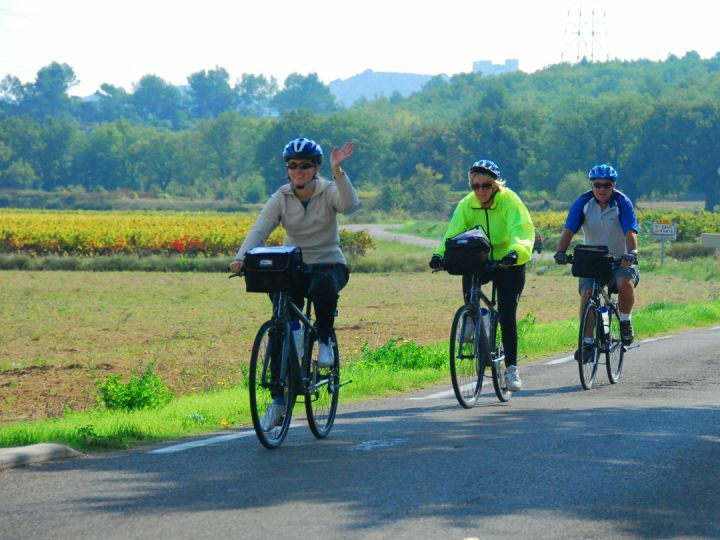 Our final stretch of riding takes flat, quiet lanes through orchards and melon fields, a short ride to the Domaine de Bournissac at Palud de Noves for our final night’s celebration dinner. After breakfast, taking the opportunity to exchange phone numbers and e-mail addresses with newly-made friends, and maybe popping into the village for the amazing Saturday morning market, we transfer back to Avignon for our onward journeys. Mas Provençal for a substantial farmhouse, often fortified. The Mas de Cure Bourse has been converted into a charming 3* hotel with a noted restaurant, and a superb swimming pool in the extensive grounds. Located in the countryside outside the village for complete peace and quiet, it is a short bike ride to the bustling village centre with its canals and markets. The 3* hotel is superbly sited in the pedestrianised centre of Orange, making it ideal for strolling in the old town and visiting the Roman Antiquities. The recently refurbished rooms are spacious and comfortable with large and luxurious bathrooms, and the hotel also boasts a rooftop swimming pool, a rare feature in city centre hotels. 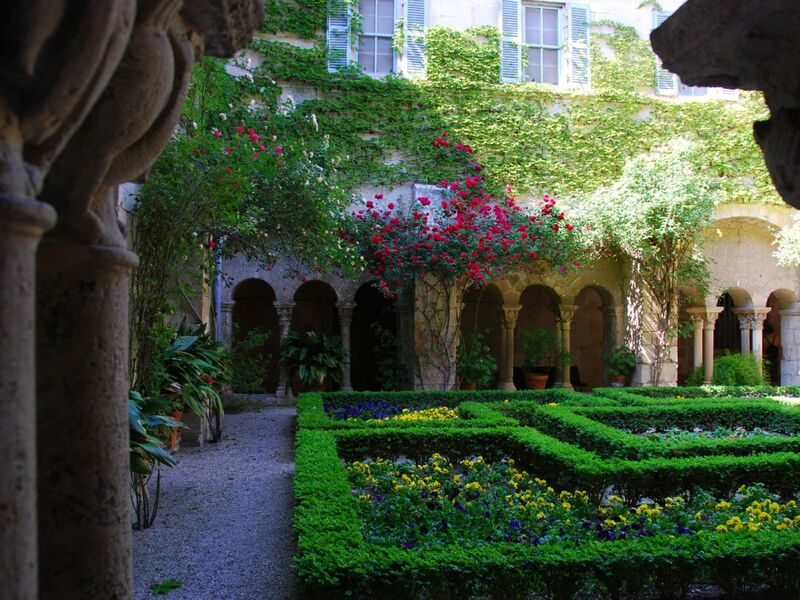 Splendidly situated next to the Roman Amphitheatre, where the bullfights gave Hemingway inspiration for 'Death in the Afternoon' and a short stroll from where Van Gogh painted the Café du Nuit, the Calendal is set around a delightful courtyard garden. The 3* hotel also has an indoor swimming pool and spa to wash off dust from a day in the saddle and a massage to ease the aches! Refurbished in beautiful Provencal style in 2017, we have been staying here since 2003. A 14th C Farmhouse, the Domaine de Bournnissac was built while the Popes were still resident in Avignon. With views across the Provençal plain to the Alpilles mountain chain in one direction, the Luberon and Mont Ventoux in the other, it is another great spot to finish the week’s tour. Christian Peyre, the Michelin-starred Chef proprietor, will make sure the last meal is equally unforgettable! A modern hotel whilst maintaining the charm of Provence. Hotel Gounod is another addition to our hotels for 2019. Featuring an internal courtyard with an outdoor pool , Gounod is a hotel set in the heart of Saint-Rémy-de-Provence a minute walk into town. The hotel is famous for being where the composer Charles Gounod wrote his Mireille opera in 1863. Tired after the week of cycling? Just outside the town centre, the Hotel Le Vallon de Valruges is in a tranquil spot to allow you to relax on your last afternoon with a cocktail by the pool or a massage at the spa. The Hotels gourmet restaurant is a happy to welcome us in the dining room or on the terrace in the shade of plane trees. 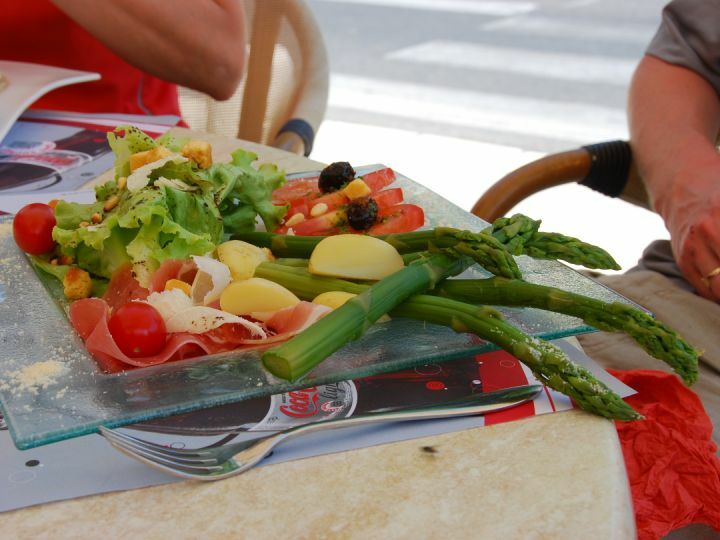 I would like to thank you and the staff at French Cycling Holidays for a wonderful vacation in the south of France. We could not ask for a more perfect combination of great weather, excellent guides (David and Jeremy) and a lively group of cyclists. I will certainly recommend your company to friends here in the states who might be interested in this kind of holiday. I think this is the only way to see such beautiful towns and countryside. Hopefully I can talk my wife into the Villages of Luberon tour. I have no doubt that we will return for a future tour.